#1) The FDA refuses to allow natural sunscreen ingredients to be used in sunblock / sunscreen products. It’s true: If you create a truly natural sunscreen product using exotic botanicals with powerful sunscreen properties, you will never be able to market it as a “sunscreen” product. That’s because the FDA decides what can be used as sunscreen and what can’t, regardless of what really works in the real world. And there are really only two natural ingredients the FDA has allowed to be sold as sunscreen: Zinc oxide and titanium dioxide. Any other non-chemical sunscreen ingredients, if sold as “sunscreen,” would be considered mislabeled by the FDA and result in your products being confiscated… even if they offer fantastic sunscreen protection! Not surprisingly, this whole monopoly over sunscreen chemicals is designed to protect the profits of the chemical companies while marginalizing the natural product companies which could easily formulate far better solutions. I have personally spoken to the founders of several health product companies who have figured out amazing sunscreen formulations using nothing but natural botanicals, but the FDA won’t let them market their products as sunscreen products! It’s just another example of the FDA standing in the way of health innovation. #2) Nearly all conventional sunscreen products contain cancer-causing chemicals. Read the ingredients list of any sunscreen product sold at Wal-Mart, or Walgreens, or any other mainstream store. #3) In the US where over 70% of the population is vitamin D deficiency, sunscreen actually blocks vitamin D production. Vitamin D deficiency is perhaps the most widespread vitamin deficiency in North America. According to the research, 70 percent of whites are deficient in vitamin D, and up to 97 percent of blacks are deficient (http://www.naturalnews.com/030598_v…). Chronic vitamin D deficiency promotes cancer (http://www.naturalnews.com/031560_v…), winter flu and infections, depression, osteoporosis and hormonal imbalances. 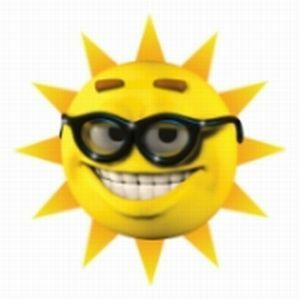 Depending on whom you believe, vitamin D alone can prevent anywhere from 50% to nearly 80% of all cancers (http://www.naturalnews.com/021892.html). By blocking vitamin D production in the skin, sunscreen products actually contribute to cancer-promoting nutritional deficiencies. This doesn’t mean you should never wear a sunscreen product, of course. If your skin is really pale and you’re planning a day on the beach in Hawaii, you will obviously benefit from some level of sun protection using a truly natural sunscreen product. But an informed health-conscious person would try to allow their skin to achieve a natural, healthy tan (yes, a tan truly is healthy if it’s combined with good nutrition, see below) through sensible exposure levels that activate vitamin D production in the skin. #4) You can boost your internal sun resistance by changing what you eat. Here’s the real secret about sun exposure that no one in conventional medicine is talking about (because, as usual, they are woefully ignorant about nutrition): You can boost your internal sunscreen by eating antioxidant-rich foods and super foods. The supplement astaxanthin, for example, is very well known for boosting your skin’s natural resistance to sunburn. Its fat-soluble carotenoids are actually transported to skin cells where they protect those cells from UV exposure. The more natural antioxidants you have in your diet, the more sunlight your skin will be able to handle without burning. Nearly everyone mistakenly believes that a person’s sunlight burn response is purely a genetic factor. They’re wrong. You can radically improve your resistance to UV exposure through radical dietary changes. I’m a great example of this, actually, as I used to burn in just 20 – 30 minutes of sunlight when I was on a junk food diet years ago. But now, as someone who eats superfoods and high-end nutritional supplements every day, I can spend hours in the sun and will only turn slightly red (which fades a few hours later and does not result in a burn or skin peeling). Except for one time on an all-day visit to a water park, I have not worn sunscreen in over 8 years. I spend a large amount of time in the sun, and I have absolutely no concerns whatsoever about skin cancer. My skin, most people tell me, looks significantly younger than my biological age. That’s not from sunscreen; it’s from nutrition. Sun exposure does not make your skin “age” if you follow a high-nutritional density diet. by the Health Ranger from Natural News. #5) UV exposure alone does not cause skin cancer. It is a complete medical myth that “UV exposure causes skin cancer.” This false idea is a total fabrication by the ignorant medical community (dermatologists) and the profit-driven sunscreen companies. The truth is actually more complicated: Skin cancer can only be caused when UV exposure is combined with chronic nutritional deficiencies that create skin vulnerabilities. To create skin cancer, in other words, you have to eat a junk food diet, avoid protective antioxidants, and then also experience excessive UV exposure. All three of those elements are required. Conventional medicine completely ignores the dietary influences and focuses entirely on just one factor: Sunscreen vs. no sunscreen. This is a one-dimensional approach to the issue that’s grossly oversimplified to the point of being misleading. The medical industry, it seems, does not want people to figure out they can literally eat their way to healthier skin. It’s amazing, actually: Your skin is made entirely out of the food you eat, so how could your diet not affect your skin health? Yet no one in conventional medicine — not the dermatologists, not the doctors and not the health regulators — has the intellectual honesty to admit that what you eat largely determines how your skin reacts to UV exposure. #6) Not all “natural” sunscreen products are really natural. Be careful when shopping for so-called “natural” sunscreen products. While there are some good ones out there, many are just examples of greenwashing, where they use terms like “natural” or “organic” but still contain loads of synthetic chemicals anyway. Always buy unscented sunscreen unless for some reason you just enjoy coating your skin with artificial perfume chemicals. A typical sunscreen product is made with over a dozen cancer-causing fragrance chemicals, and they’re absorbed right through your skin. Most sunscreens, when applied as directed, are really just toxic chemical baths that heavily burden your liver and can give you cancer. #7) Many “chemical free” sunscreens are loaded with chemicals. So how are those not chemicals? Ethylhexyl Palmitate is NOT a chemical? Who are these people kidding? The Amazon.com description (title) of this product is false and misleading. In all fairness, however, this product title looks like it was added into the Amazon.com system by the vendor and not the Jason company itself. But it’s an example of how the information you see from online vendors can often be misleading. Always read the ingredients of any sunscreen product before using it. Don’t poison yourself with sunscreen! Perhaps more with sunscreen than any other personal care product, the “official” information distributed through the mainstream media is hopelessly misleading (if not downright false). Remarkably, no one in the media or the government is even willing to admit that fragrance chemicals are bad for your health. Similarly, no one is willing to admit that the chemicals you put on your skin get ABSORBED by your skin. Without those two truths being acknowledged right up front, the rest of whatever they say about sunscreen is worthless babble. Any honest talk about sunscreen must acknowledge the simple truth that the chemicals you put on your skin get absorbed into your skin, and that most sunscreen products are made out of a chemical cocktail of cancer-causing substances. So buyer beware. Sunscreen products are a minefield of lies, fraud and disinformation designed to keep you ignorant of the importance of sun exposure as well as the health risks associated with using cancer-causing chemicals on your skin. In Music, to which’ condition all Life aspires as the Universe is a musical symphony, the so-called ‘Perfect Fifth’ is the most consonant (stable) musical interval within tone ladder. Both the names ‘perfect’ and ‘fifth’ have the same ‘26’ “Partnerships” vibration of also the name ‘Pythagoras’ so little wonder that He came up with this first ‘String Theory’! And, ‘A Perfect Fifth’ is a ‘17’ “The Magic Star of Venus” like the word ‘Music’ itself as well as ‘Logic’. What’s more, “Music’-‘Logic’- ‘Life” = ‘33’ = ‘Aspiration’! ‘URANUS’, the Aquarian Ruler, ‘MERCURY’ ‘THE MESSENGER OF THE GODS’ ‘TEN NUMBERS’ ‘DNA AS NUMBERS’ ‘ALL IS ONE GEOMETRY’ ‘PENTA’ ‘NATURE’ ‘OUR COMMON NATURE’ ‘MASS-ENERGY-CONSCIOUSNESS’ ‘A LANGUAGE OF THOUGHT’ ‘LOGIC AND REASON’ ‘MORAL UNIVERSE’ ‘I EXIST, THEREFORE I AM’ = ‘I AM, THEREFORE I EXIST’ ‘HUMAN BRAIN’ ‘NATURAL CREATIVITY’ ‘GOOD IDEA!’ ‘FANTASY’ ‘WORLD SOUL’ ‘SYMBOLS’ ‘COSMIC BALANCE’ ‘COSMIC VIBRATION’ ‘COSMIC ORDER’ ‘HUMAN INITIATIVE’ ‘PLATO’ ‘A SHARED VISION FOR A BETTER WORLD’ ‘DEALISTIC THOUGHT’ ‘REALISM AND DEALISM’ ‘THE WORLD WE LOVE’ ‘TIME TO RETHINK EVERYTHING’ ‘MIND AND HEART’ ‘MORALITY’ ‘HEALTH’ ‘ETHICS CULTURE’ ‘GLOBAL PEACE’ ‘CIVIC LIBERTY’ ‘MY HOUSE IS MY CASTLE’ ‘TALKING ABOUT A REVOLUTION’ ‘HEAL THE WORLD’ ‘THE LIVING PLANET’ ‘THE POWER OF SIMPLICITY’ ‘SO ABOVE, SO BELOW, SO ABOVE’ ‘THE HUMAN EMERGENCY’ and ‘THINK DIFFERENT’…..‘THINKING OUT OF THE BOX’! ‘THE AGE OF AQUARIUS’ ‘THE GUARDIAN OF LIGHT’ ‘THE TRUTH IN NUMBERS’ ‘MATHEMATICAL NATURE’ ‘THE MAGIC OF NUMBERS’ ‘MOTHER NATURE’ ‘QUANTUM MIND’ ‘NUMBERS A LANGUAGE OF THOUGHT’ ‘THE ORIGIN OF LANGUAGE IS SOUND’ ‘NATURE SPEAKS WITH A THOUSAND VOICES’ ‘DOWN TO EARTH’ ‘INTUITION AND INTELLECT’ ‘ALL LIVING FORMS ARE IN FLUX’ ‘DEGREES OF FREEDOM’ ‘IT IS THE TONE THAT MAKES THE MUSIC’ ‘VIBRATIONS’’ and ‘GOOD, GOOD, GOOD VIBRATIONS’ ‘MUSIC IS THE SPIRIT OF REALITY’ ‘THE TRUTH IS OUT THERE’ ‘BEING TOUCHED BY NATURE’ ‘TRANCENDENCE’ ‘AWESOME POWER’ ‘SEIZING THE MOMENT’ ‘COLLECTIVE DNA’ ‘NATURE IS CONSTANT’ SMALL IS STILL BEAUTIFUL’ ‘FREE AS THE BIRDS’ ‘THE ART OF THE LONG VIEW’ ‘NATURE AND HUMANITY PARTNERSHIP’ ‘THINGS SHOULD BE CLEAR AND SIMPLE’ ‘AND NEW PHILOSOPHY PUTS ALL IN DOUBT’ ‘PYTHAGOREAN THINKING’ ‘THE COLOURS OF THE RAINBOW, SO PRETTY IN THE SKY’ ‘WHAT YOU SAY IS WHAT YOU ARE’ ‘TAKE IT OR LEAVE IT’ ‘THE TRUTH IS ALWAYS IN THE MIDDLE’ ‘THE TRUTH AND NOTHING BUT THE TRUTH’ ‘SPINOZA’ ‘SPEAK SOFTLY BUT CARRY A BICK STICK’ ‘FUNDAMENTAL CHANGE’ ‘NEUROSCIENCE’ ‘NEUROLOGICAL CAPACITY’ ‘SYNCHRONICITY’ ‘SPIRALS AND DOUBLE HELIX’ ‘THE THEORY OF CELESTIAL INFLUENCE’ ‘COUNT TO BE COUNTED!’ ‘PYTHAGORAS AND PLATO’ ‘BORN TO BE ALIVE’ ‘BLESSING IN THE SKIES’ ‘THE UNIVERSE IS A SYMPHONY’ ‘MUSIC IS THE VERY ESSENCE OF THE UNIVERSE’ ‘MUSIC IS OUR NATURE’ and ‘FOOD FOR THOUGHT’! Take that in on 31 May 2012, by the digits of the date a ‘14’ like the ‘365’ of ‘SUN! Jelle U. Hielkeman is of Dutch/Frisian farmer’s origin (1947) and has lived in Rome since 1975, where he has been working for the United Nations for thirty years in the field of Earth Observation from space in the context of global Food Security. His frequent travels across the globe spanning five continents, coupled with a keen interest in the interaction among philosophy, science, religion, and politics, enabled him to make a wide range of observations on the relationship among names, language, and numbers with rather amazing findings. Oh, Those Scientifically Attuned Infants! In a review of related scientific literature from the past 30 years, vanMarle and Susan Hespos of Northwestern University found that the evidence for intuitive physics occurs in infants as young as two months – the earliest age at which testing can occur. At that age, infants show an understanding that unsupported objects will fall and that hidden objects do not cease to exist. Scientific testing also has shown that by five months, infants have an expectation that non-cohesive substances like sand or water are not solid. In a previous publication, vanMarle found that children as young as 10 months consistently choose larger amounts when presented with two different amounts of food substance. While the intuitive physics knowledge is believed to be present at birth, vanMarle believes parents can assist skill development through normal interaction, such as playing and talking with the child and encouraging him/her to interact with objects. 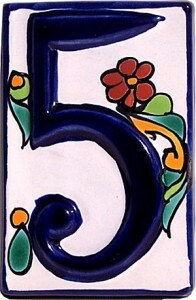 The transit of Venus will take place June 5-6, 2012. On Tuesday, June 5, skywatchers in North America will have their last chance to see Venus pass in front of the sun for over a century. Because of the International Date Line, this event will occur on Wednesday June 6 in Asia, Australia, Africa, and Europe. This event, called a transit of Venus, is one of the rarest sights in astronomy. Transits of Venus occur in pairs 8 years apart, each pair separated from the next by over a century. The last pair occurred in 1881 and 1889, and the next pair will occur in 2117 and 2125. This week’s transit is paired with a transit which occurred on June 8, 2004. On Tuesday June 5, 2012, Venus will be exactly between the Earth and the sun. Venus’ orbit (shown in grey in this edge-on view) is tilted 3.4 degrees to the Earth’s orbit (shown in green). Why are transits of Venus so rare? As the graphic associated with this guide shows, Venus’ orbit is tilted by 3.4 degrees as compared to the Earth’s orbit. As a result, most of the time Venus passes either above or below the sun when Venus is inferior conjunction with the sun (between the sun and Earth). Only when both Venus and Earth are at the points where the two orbits cross can we see Venus in front of the sun. WARNING: It is always dangerous to stare directly at the sun!The sun’s heat, when concentrated by your eye’s lens on your eye’s retina, can literally cook your sensitive retinal cells. The result can be a permanent blind spot in your eye. 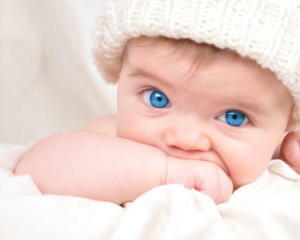 You only get one pair of eyes, so don’t risk permanently damaging them. One way is to block the sun’s damaging rays with a dense filter. The only safe filters are a #14 welder’s glass, sold only by specialized welder’s supply stores, or “eclipse shades”: special glasses available only from telescope stores and astronomy clubs. Either of these cost less than a couple of dollars, so there’s no excuse to endanger your eyes. Much simpler pinhole cameras can be improvised from any object with a small hole, but the advantage of using a large box is that it keeps stray light off the screen, allowing you to use a smaller pinhole, for a sharper image. If you’re observing with binoculars or a small telescope, there is no substitute for a proper full-aperture solar filter. Unless you block the sunlight from entering the telescope, you run the risk of concentrating the sun’s light. It was once common for solar observers to use their telescopes to project an image of the sun with an eyepiece. That was in the days when telescopes were made of metal and glass. Nowadays there is much plastic, and even cardboard, used in making telescopes and eyepieces, so that you run the risk of “meltdown” or even fire. It’s just not safe. World visibility of the transit of Venus on 5-6 June 2012. Spitsbergen is an Artic island – part of the Svalbard archipelago in Norway – and one of the few places in Europe from which the entire transit is visible. For most of Europe, only the end of the transit event will be visible during sunrise on 6 June. So, when is the best time to observe the transit? In North America the best time will be in the hours before sunset on Tuesday afternoon. In Europe, Africa, and Australia, Venus will be in transit as the sun rises on Wednesday morning (June 6). In most of Asia and across the Pacific Ocean, any time during Wednesday should work. Detailed times are shown in the table accompanying this guide. Astronomers chronicle Venus transits in terms of “contact.” First contact is when Venus first touches the outer edge of the sun. Second contact is when Venus is first entirely on the sun. Similarly, third contact is when Venus touches the sun’s edge from the inside, and fourth contact is when it is totally off the sun. This chart shows the times of “contact” between Venus and the sun during the transit of Venus for major cities on June 5, 2012. For most observers, Venus will be a tiny round black disk, but large enough to be clearly visible with the unaided eye, properly protected by eclipse glasses or welder’s glass. If you’re viewing with a telescope, the most interesting times will be as Venus is entering or leaving the sun’s disk. One of the things to look for is the so-called “black drop” effect. Here’s an example: Hold up your thumb and forefinger in front of a bright background so that they are almost touching. You will see an interesting optical illusion whereby a black ligament appears to bridge the gap. For the Venus transit, a similar illusion occurs just after second contact and just before third contact, when a dark ligament appears to join Venus to the dark sky. But is this entirely an optical illusion? Remember that Venus has a dense atmosphere which could contribute to this effect. Many observers have reported seeing Venus as a bright ring just before it enters the sun’s disk and justafter it leaves. Mikhail Lomonosov, who organized the observations of the transits in the 1760s, correctly deduced from this that Venus had an atmosphere, illuminated from behind by the sun. 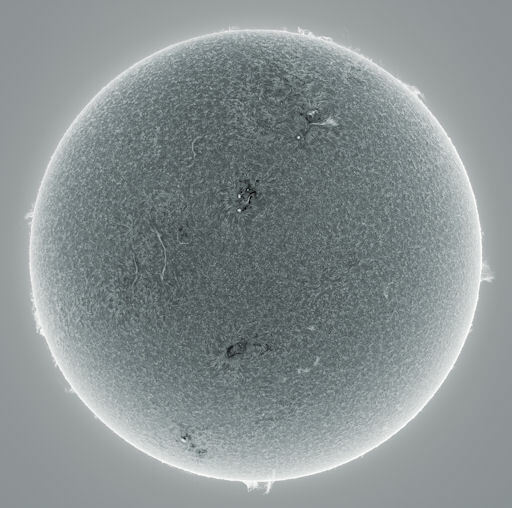 One difference between this transit and the one eight years ago is that many amateur astronomers now have telescopes which allow them to view the sun in hydrogen alpha light. It should be possible to see Venus silhouetted against prominences and the corona, before it moves in front of the chromosphere. What is real spirituality but the art of union with Reality? Mysticism is a particularly focused part of spirituality; the mystic is a person who aims at and believes in the attainment of such union. In its classical spiritual form it is a heroic journey, and valiant efforts are required to follow the path. Many of the spiritual teachers of the world have likened our lives to “a sleep and a forgetting.” The mystic path is predicated on awakening, on going off robot and abandoning lackluster passivity to engage co-creation with vigor, attention, focus, and radiance, characteristics we might note we often find in our animal friends. Thus the mystical variant of the spiritual experience is perhaps the greatest accelerator of evolutionary enhancement. Through this experience, as Ervin Laszlo noted in his series ofposts on Quantum Consciousness, we tap into wider physical, mental, and emotional systems, thereby gaining entrance into the next stage of our unfolding, both individually and collectively. Once the province of the few, the spiritual experience, and within it the mystic path, may now be the requirement of the many—a unique developmental path for self and world. In a lifetime of studying the art and science of human development, I have found no more powerful, practical, and evolutionary practice than the mystic path. When I have studied or talked with seekers who have had this variety of the spiritual experience, they have told me of a joy that passes understanding, an immense surge of creativity, an instant uprush of kindness and tolerance that makes them impassioned champions for the betterment of all, bridge builders, magnets for solutions, peacemakers, pathfinders. Best of all, other people feel enriched and nourished around them. Everyone they touch becomes more because they themselves are more. Perhaps we have needed the changes and accelerations of our time to put the flame under the crucible of becoming so that such inward alchemy could take place. Mysticism, and spirituality in general, seems to rise during times of intense change and stress. Add the sufficiency of current shadows and the breakdown of all certainties, and we have the ingredients for the current universal pursuit of spiritual realities. We live in a time in which more and more history is happening faster and faster than we can make sense of. The habits of millennia seem to vanish in a few months and the convictions of centuries are crashing down like the twin towers of the World Trade Center in New York. And yet, the deconstruction of traditional ways of being may invite the underlying Spirit, of which we are a part, to break through. So how can we birth this miracle within ourselves? How can we foster our natural birthright of spiritual presence? Many have written of the mystic path and tracked its myriad adventures and planes of development. I have found Evelyn Underhill, writing early in the twentieth century, to be one of the finest guides to the experience. In her great work Mysticism, she presents the mystic path as a series of eight organic stages: awakening, purification, illumination, voices and visions, contemplation and introversion, ecstasy and rapture, the dark night of the soul, and union with the One Reality. In the first stage, “awakening,” one wakes up, to put it quite simply. Suddenly, the world is filled with splendor and glory, and one understands that one is a citizen in a much larger universe. One is filled with the awareness that one is a part of an enormous Life, in which everything is connected to everything else. The second stage of mystical development is called “purification.” Here one rids oneself of those veils and obstruction of the ordinary unexamined life that keep one from the knowledge that one has gained from awakening. One is released from old ways of being and recovers one’s higher innocence. In traditional mysticism it can take the form of a very intense pursuit of asceticism. It can also take other forms of trying to create purity and beauty in the world, as, for example, the path of Saint Francis of Assisi, who rebuilt a church as part of his purification, or Hildegard of Bingen, who planted a garden so that God’s nose might be engaged. The traditional third stage is called the path of “illumination”: one is illumined in the light. The light of bliss—often experienced as actual light—literally pervades everything. One sees beauty and meaning and pattern everywhere, and yet one remains who one is and able to go about one’s daily work. The stage of illumination is also one that many artists, actors, writers, visionaries, scientists, and creative people are blessed to access from time to time. The fourth stage is called “voices and visions.” One sees, hears, senses with more than five senses—an amplitude of reality including things one has never seen before, such as beings of different dimensions, angels, archetypes, numinous borderline persons, or figures from other times and realms. It is a state of revealing and interacting with a much larger reality—including those spiritual allies that lie within us. The fifth stage is what Underhill and others call “introversion,” which includes entering the silence in prayer and contemplation. It is a turning to the inner life, wherein one employs some of the vast resources of spiritual technology to journey inward to meet and receive Reality in its fullness. It results in daily life as a spiritual exercise, bringing the inner and the outer life together in a new way. The sixth stage is referred to as “ecstasy and rapture.” Here the Divine Presence meets the prepared body, mind, emotions, and psyche of the mystic, which, cleared of the things that keep Reality at bay, now can ecstatically receive the One. It involves the art and science of happiness. But, alas, after all this joy and rapture, the next stage, the seventh, is what is termed the “dark night of the soul,” obeying the dictum that what goes up must come down. Suddenly the joy is gone, the Divine Lover is absent, God is hidden, and one is literally bereft of everything. Here one faces the remaining shadows of old forms and habits of the lesser self, preparing one to become more available to the final stage. The eighth and last stage is called the “unitive life.” Here one exists in the state of union with the One Reality—experiencing the Oneness Laszlo claims is the hallmark of deep spiritual experience. One is both oneself and God. For those who enter this state, it seems as if nothing is impossible; indeed, everything becomes possible. They become world changers and world servers. They become powers for life, centers for energy, partners and guides for spiritual vitality in other human beings. They glow, and they set others glowing. They are force fields, and to be in their fields is to be set glowing. They are no longer human beings as we have known them. They are fields of being, for they have moved from Godseed to Godself. There’s a level of awareness available to you that you are probably unfamiliar with. It extends upward and transcends the ordinary level of consciousness that you’re most accustomed to. At this higher plane of existence, which you and every human being who has ever lived can access at will, the fulfillment of wishes is not only probable—it is guaranteed. After 18 months in relative seclusion, studying, meditating, and literally experiencing what it’s like to live in this miraculous plane of existence beyond anything that might be labeled “ordinary” or “normal,” I’ve undertaken this joyous task of writing about having wishes fulfilled. I’ve seen firsthand how virtually every wish or desire I’ve placed my attention on has transformed from a mental thought into an objective fact. However, I’m not proposing memorizing an esoteric formula leading to a theoretical nirvana. My emphasis throughout this book is that manifestation is real and that it occurs when you make a specific decision to change your mind about who you are and what is possible for you to achieve within these parentheses in eternity called your life. I’m inviting you to be receptive to a radical new idea about yourself. It’s radical because ever since you left your mother’s womb, you’ve been subjected to cultural conditioning designed to help you be content with living a “normal life” at the level of ordinary consciousness, which generally means accepting whatever life hands you. In many ways you’ve been programmed to believe that you do not possess the wisdom or ability to manifest the fulfillment of your wishes and desires. I am saying as clearly as I know how to say it in these opening pages: There’s a plane of awareness that you can opt to live at, wherein you can, if you are willing to change your concept of yourself as an ordinary being, find yourself fulfilling any and all wishes that you have for yourself. Throughout this book I’ll explore with you what I’ve studied, learned, internalized, practiced, and, yes, lived regarding the powers of manifestation. It begins with changing your concept of yourself. I would like to offer a few words on these two concepts of ordinary and extraordinary. Ordinary is, well, so ordinary. It means that you do all of the things that your culture and your family have programmed you to do. It implies that you fit in, study hard, follow the rules, take care of your obligations, fill out the forms, pay your taxes, get a job, and do what every law-abiding citizen does; and then you retire, play with your grandchildren, and ultimately die. I want to emphasize that there is absolutely nothing wrong with this scenario—it is perfectly fine—but if it were completely acceptable for you, you wouldn’t be reading this book. Extraordinary encompasses most of ordinary, since we all live in the same physical world. There will be forms to fill out, rules that demand our obedience, bills to pay, and family obligations to attend to. But extraordinary consciousness is associated with your soul, that invisible, boundaryless energy that looks out from behind your eyeballs and has very different interests than your ordinary self does. The ideal of your soul, the thing that it yearns for, is not more knowledge. It is not interested in comparison, nor winning, nor light, nor ownership, nor even happiness. The ideal of your soul is space, expansion, and immensity, and the one thing it needs more than anything else is to be free to expand, to reach out and to embrace the infinite. Why? Because your soul is infinity itself. It has no restrictions or limitations—it resists being fenced in—and when you attempt to contain it with rules and obligations, it is miserable. Your invisible self is extraordinary because it is a fragment of the universal soul, which is infinite. The part of you that knows you have greatness, and is stirred by the idea of you expanding and removing any and all limitations, is what I am addressing in Wishes Fulfilled. This is your new self-concept, one that is inspired by your soul. Wayne W. Dyer, Ph.D. is an internationally renowned author and speaker in the field of self-development. He’s the author of 30 books, has created many audio and video programs, and has appeared on thousands of television and radio shows. His books Manifest Your Destiny, Wisdom of the Ages, There’s a Spiritual Solution to Every Problem, and the New York Times bestsellers 10 Secrets for Success and Inner Peace, The Power of Intention, Inspiration and Change Your Thoughts—Change Your Life have all been featured as National Public Television specials. 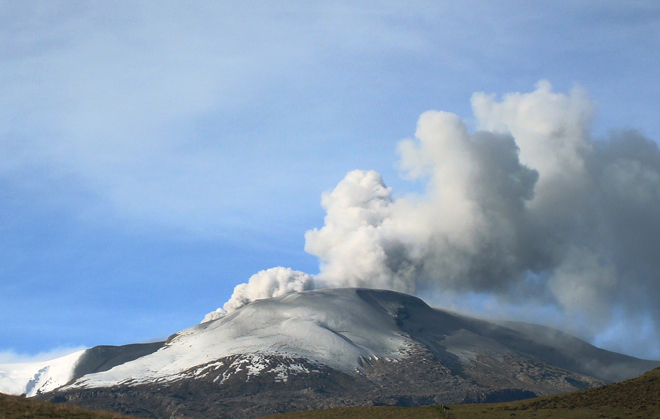 The ash-rich plume from Nevado del Ruiz in Colombia, seen on May 29, 2012. Image courtesy of INGEOMINAS. I might have guessed that just after reading an article about how USGS geologist left Colombia this week after helping set up monitoring for Nevado del Ruiz that the volcano do something. Sure enough, today the volcano experienced a series of explosions that produced ash that fell on the city of Manizales, ~30 km from the volcano. The volcano had recently been lowered from Orange to Yellow status by INGEOMINAS, however a new earthquake swarm that started at 3 A.M. on Tuesday (May 29)prompted the return to an Orange alert, meaning an eruption in days to weeks. These new explosions are spreading ash in the region near Ruiz, but I have yet to see any information about the nature of the ash – is it juvenile (new) magma or just pulverized rock fragments caused by increasingly intense steam explosions at the summit. If it is juvenile, then we might be seeing magma reaching the surface at Ruiz, with this morning’s earthquakes being the precursor signs of the magma on the move. MSNBC posted some video of the ash fall near Ruiz – looks to be a few millimeters to a centimeter in some parts of Manizales. The video also mentions that the plume reached ~1 km. The latest INGEOMINAS update mentions that the volcano is experiencing constant tremor, similar to what occurred during the 1985 and 1989 eruptive periods, however INGEOMINAS director Marta Calvache reported that ash emissions were down this morning. It seems that the webcams for Nevado del Ruiz are only intermittently working, but the webicorder shows just how much tremor the volcano is feeling right now. You can also seen how prominent the sulfur dioxide emissions from Ruiz were on Sunday (May 27), two days before these new explosions. The explosions have put enough ash into the skies to prompt the closure of airports in Manizales, Armenia (~60 km) and Pereira (~40 km – and my mother’s home town). Government officials have also issued evacuation orders for 500 people living near the volcano as part of the first level of response to an eruption at Ruiz. Dust masks are also beginning to be distributed to local residents as well. There are three INGEOMINAS webcams pointed at Nevado del Ruiz, so you can check them out when conditions are right to see what the volcano might be doing. This week will see some of the best and some of the worst in all areas and in all situations. It is important to be strong in WHO you are and look into things before taking any precipitate action. This is not a week of resolution, but rather a week of stirring up the pot. If you had not been aware that things were shifting, this week will make it blatantly obvious. Emotions are close to the surface and many will want to react without consideration. If you are tuned into what is going on, you will begin to see patterns emerge. They will come to the surface in personal relationships, job situations, Earth movements, political maneuvers, etc. Step back from it all. These things are all related somehow. Your consciousness is opening as well as your expanded sensibilities. Trust them. Trust your intuition. THis is a week for breaking out of your old patterns. This is a week for looking at just what you have been prioritizing, what is important to yo, what you want for yourself, where you stand in relation to all that is around you. It is also a week for second chances, so if there is something you are wishing to remedy or alter, the times favor that kind of action. Let go of the ego hold in this. Ego is not the same as Self. Ego is the cloak we put over Self to hide from much of what we have always known to be. Self does not have to be guarded or fought for. Self is. Take some time to know your SELF. It can be revealing. Summary 29/05 – 15:15 UTC – aftershocks, how far away from the mainshock location ? – A lot of people may be surprised today that totally other towns and villages are being mentioned today. Aftershocks mostly happen along the same fault, but can differ 10 to even 30 km into all directions. Todays strongest aftershock has an epicenter close to Mirandola and Cavezzo, about 20 km from the mainshock area. – This would be the 21st highest death toll in Italy from an earthquake since 1900, if 20 people are presumed to be killed from the CATDAT Damaging Earthquakes Database. – A Facebook campaign is asking to cancel the Military June 2 parade. – Just like on May 20, we have noticed that the damage is certainly not general though widespread. The video below shows a car drive through Cavezzo, the direct epicenter area of the first very strong aftershock. Some barns and walls have collapsed, others are still standing like last year. – 15 dead with 5 people reported missing. At least 20 people have been also injured. (of these all have been in the province of Modena – 3 dead in San Felice sul Panaro: two workers and a technician who were doing some investigations on the static nature of the Meta Industry building, 1 death in Concordia (an elderly person killed by a falling cornice (a common way of death during earthquake, where fancy cornices and non-structural elements fall on people), 1 death in Finale, 1 death of the pastor of Rovereto nel Novi, Don Ivan Martini, the victim of falling debris, 2 women died in Cavezzo. 1 woman died buried beneath the rubble of Furniture Malavasi, 2 dead in the rubble of the factory Bbg San Giacomo Roncole in Mirandola, 1 male worker died by crushing through the collapse of the Haemotronic factory (they produce medical equipment). – 6000 people are homeless as a result of this earthquake. – Much damage has occurred to cathedrals, buildings and other infrastructure. – The price tag is expected to equal that of the previous quake on 20 May or even exceed it. – Further aftershocks have caused damage. – The head of the Civil Defense, Franco Gabrielli, just announced that the present dead toll has further increased to 15. 4 or 5 people have been reported still missing. – SAR and Civil Defense forces from other areas like Sardinia have offered their support to the damaged areas. Italian Civil Defense is leading and organizing aid efforts. – 10 families have been evacuated in Bologna. Authorities are currently checking the stability of cracked or damaged buildings. All schools in the area have been evacuated and we do not think students will be allowed in anymore. This is a precautionary measure. Parents from young children have been asked to pickup their children from elementary schools. School management does not allow children to leave schools unattended. The authorities in the earthquake area have opened their still working wifi stations to the public. They have removed the passwords who normally prohibit getting into it. Summary 29/05 – 11:40 UTC – 12 deaths reported. 3 major aftershocks. It can be expected that further large aftershocks will occur in the area, given this sequence of events. We urge Italians to stay off their mobile phones and to use internet resources instead to help emergency crews. Summary 29/05 – 11:35 UTC – 11 deaths reported. 3 major aftershocks. A twitter photo shows the devastation at Cavezzo where it is presumed that 75% of the houses have been damaged. The devastation of Cavezzo (from Twitter). Summary 29/05 – 11:31 UTC – 11 deaths reported. San Possidonio will be the most affected town in this area due to these 2 new quakes. The town has about 3828 people. The steeple of San Possidonio is very famous and is likely to have seen some damage as a result of these quakes. The Steeple of San Possidonio. Summary 29/05 – 11:30 UTC – 11 deaths reported. Here are the details from INGV of the 2 latest quakes. In addition, our felt reports have shown that these quakes have been felt stronger in some locations.